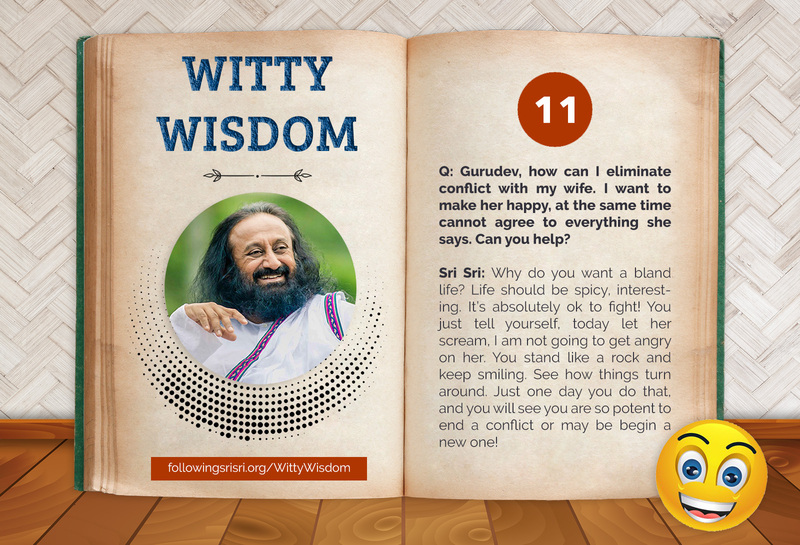 Q: Gurudev, how can I eliminate conflict with my wife. I want to make her happy, at the same time cannot agree to everything she says. Can you help? Gurudev Sri Sri: Why do you want a bland life? Life should be spicy, interesting. It’s absolutely ok to fight! You just tell yourself, today let her scream, I am not going to get angry on her. You stand like a rock and keep smiling. See how things turn around. Just one day you do that, and you will see you are so potent to end a conflict or may be begin a new one!